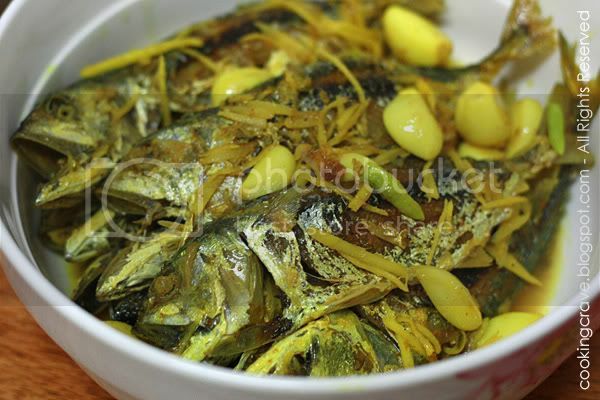 "阿扎鱼" or Acar Hu (pickled fish in turmeric vinegar sauce) My favourite fish since childhood days :) I can finished 2 plate of rice with just this one dish. A dish that's very easy to prepare and cook. This dish taste even better if we keep it overnight. YUMMY!! 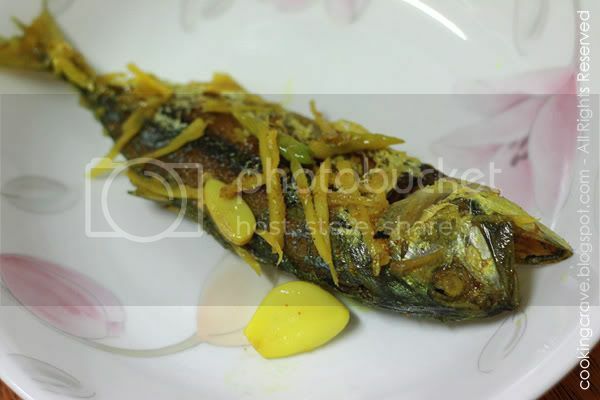 3 green chillies (sliced) - "
(A): Rub fish with turmeric powder, salt and marinate it for 1 hour. Heat up oil for deep-frying. Deep-fry the fish until crispy. Dish and drain. (B): Leave about 3tbsp oil in wok, saute shredded ginger, turmeric until fragrant. Remove from heat and leave to cool. (C): Cook all ingredients into saucepan until boiled. Remove from heat and leave to cool. (D): Blanch all ingredients D in boiling water for about 1/2min. Dish and drain. Mix A,B,C and D, leave aside for at least 5 hours or overnight. 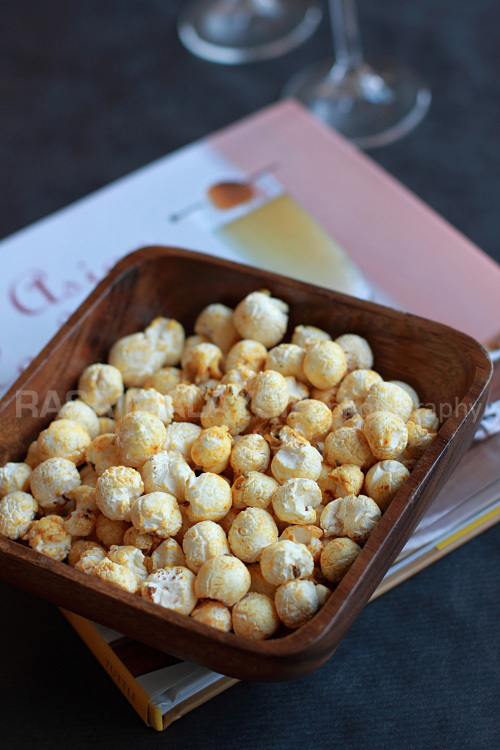 Sprinkles toasted sesame seeds on top and serve. Tips to share: Prepare B & C one day ahead so that they are totally cool before adding in fish and D. The dish can be kept longer this way. Out of idea on what to cook??? TRY THIS OUT! Looking forward to the recipe! Tried you mee hoon kueh..fabulous! I've never attempted fried fish recipe before, but i am so glad I tried this. It was soooo gooodd :) Thank you so much for posting it!